In Print is hosting a field trip to the historic Coronado Theatre in Rockford. Everyone is invited. The theatre first opened in 1927. 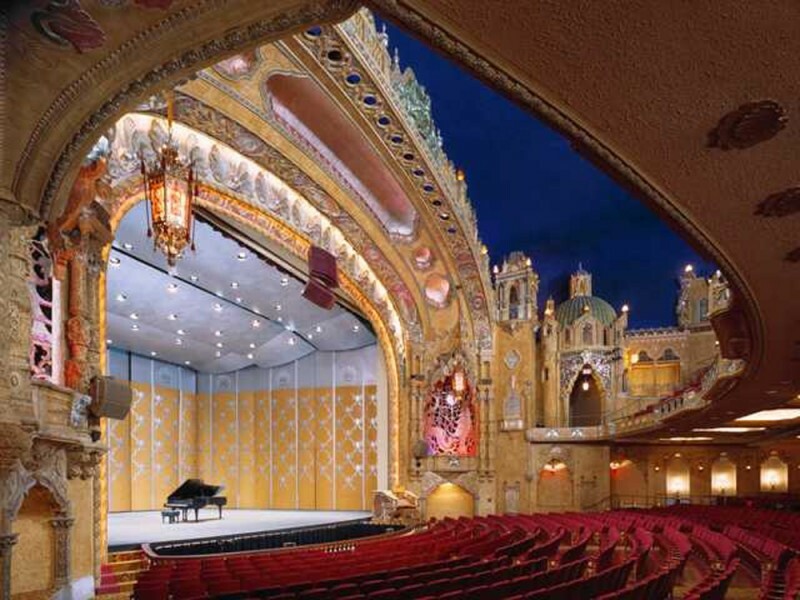 The Grande Barton Theatre Organ was originally used to add music and sound effects to silent movies. It is only one of two organs with the dragon design still in operation. Besides movies, the theatre also hosted live acts. Bob Hope, Sammy Davis Jr., Milton Berle and Liberace all played the Coronado. The Coronado Theatre was added to the National Register of Historic Places in 1979 and the city of Rockford made the theatre a historical landmark in 1980. The theatre was restored in 2001. The walking tour will take visitors behind the scenes and through all the “nooks and crannies” of the historical theatre. The tour guide will be knowledgable of the theatre’s eighty-plus year history. The tour takes two hours and costs $10 per person. The tour is Wednesday, February 26 from 2:00 to 4:00 pm. Click here for parking information. Click the button below to pay online via PayPal. You can also pay at the time of the tour. Make checks out to In Print.